“I just wanted to sincerely acknowledge the most helpful assistance of your consultant Jack Long, during my recent installation of a solar system. We had done the usual research in exploring various solar companies. 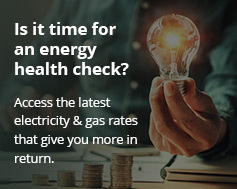 Not only was Energy Matters, a name that consistently came up as a good company to deal with, but the valued opinion from friends that you had great prices as well as good customer service was the decision maker for me. Being someone who prefers to speak to a person, I wish to commend both the patience and flexibility of your sales team. Jack was very patient with my requests, accommodated my budget and roof space to ensure the best product for my needs. He made sound recommendations to get the most return and value out of my panels and inverter, and made the entire installation process very easy. He explained things simply and easily – so I could understand the various steps and components. Jack also answered my emails and phone-calls promptly and is most certainly an asset to your organisation.